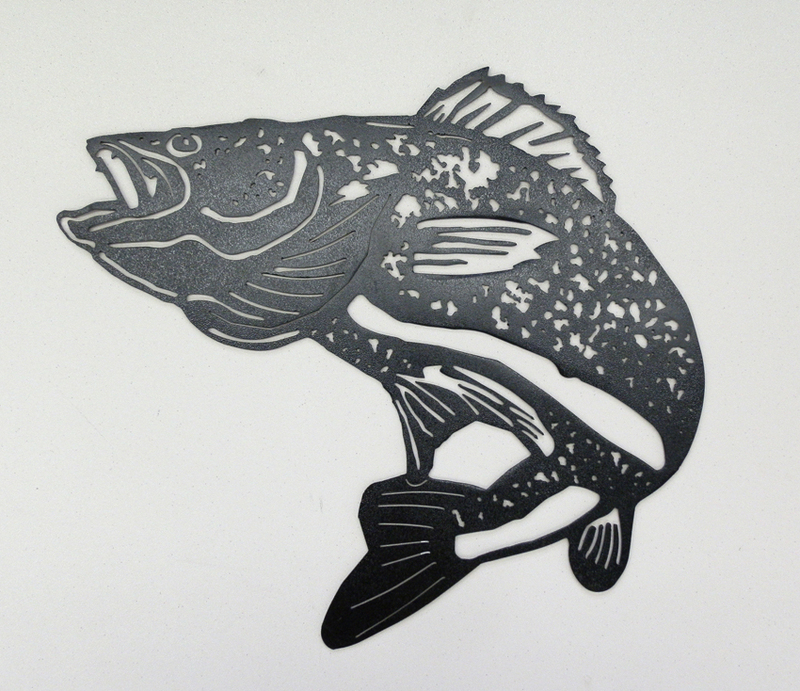 This bent fish metal design is made out 14-gauge steel. It is powdercoated in gloss black texture. The dimensions of this metal art design are 6.75" wide x 10" long.